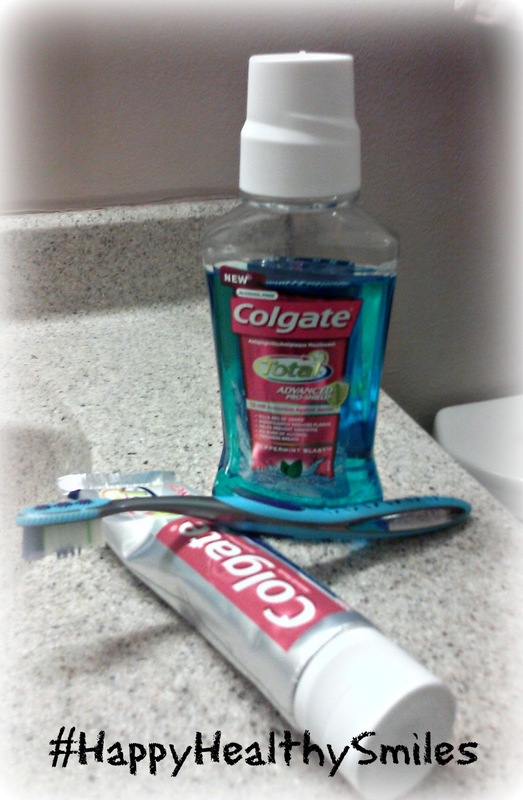 Hoping For Clean Teeth & A Clean Mouth With The Help of Colgate Total Advanced! Alright, time for a little hubby embarrassment time...(sorry honey!). The last time my husband went to the dentist, he had TEN cavities! Granted, it had been 5 years since he had last gone to the dentist, but still it was evident that my hubby definitely needed some kind of tooth protection and something to help him have clean teeth! Plus, since our move, we have yet to find another dentist, so he really needs to stay on top of his teeth cleaning until we do! So when I recently got the opportunity to shop for some Colgate Total Advanced products at Walgreens, I immediately knew who was going to use them! And my husband knows he has a cavity problem (and he drinks a lot of coffee and pop!) so he was actually willing (and a little excited, I think!) 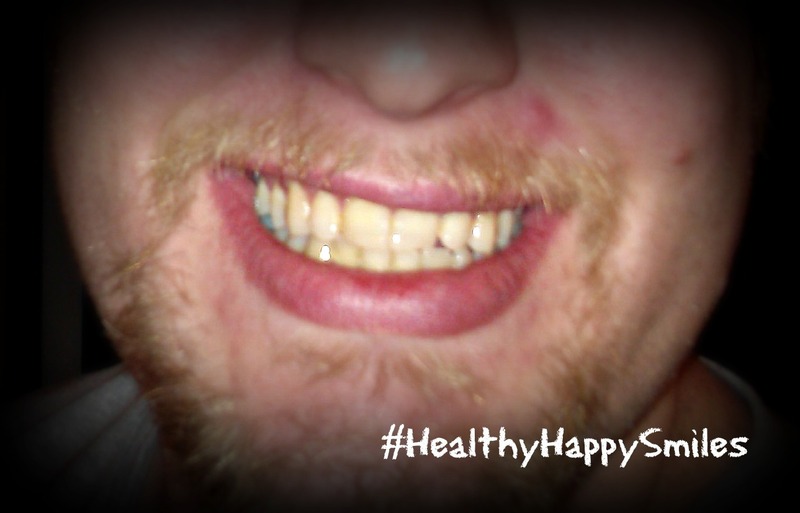 to try them out and see what two weeks of using Colgate Total Advanced products could do for his teeth! He is hoping for a whiter smile and cleaner teeth! Make sure to check back on our Instagram page in two weeks to see his before and after photos! My husband was initially wary about using the manual Colgate Total 360 Toothbrush since we have been using a powered toothbrush for awhile now, but the minute he saw and tried out the toothbrush and the tongue brusher that is on the backside, he was really impressed and LOVED it! :) The Total Advanced Toothpaste keeps his teeth feeling and looking clean longer and he has already noticed a difference with the way his teeth and mouth feel! I can't wait to see what two weeks does for him! The Total Advanced Mouthwash is also really great for not only getting fresh breath (which I love hubby to have so this is my favorite product!) but also for getting clean teeth! Although I don't like the artificial colors that are in the ingredients, I do love that it doesn't contain alcohol or the sting that comes along with it! So where do you get these awesome products? 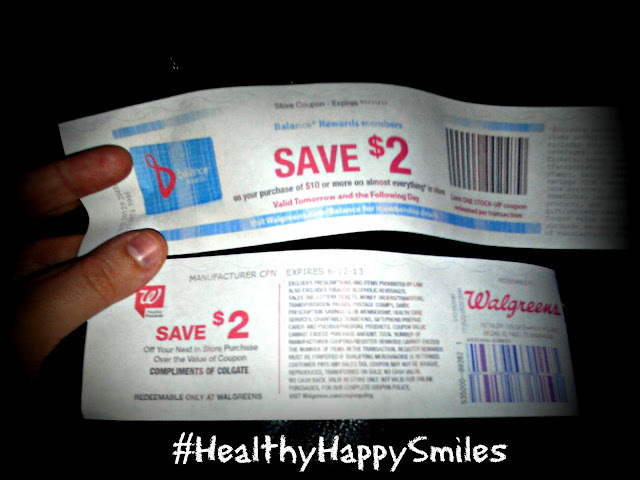 I headed to my local Walgreens to pick them up and you can see the whole story on my Google + album. It was a little time consuming to find a store that carried all three products but it was definitely worth our time! They were on sale for 2/$6 which was so great. But I saved even more money by using my Balance Rewards card from Walgreens! Not only did I save 23% off my total purchase but I also got $2 coupon to use on anything in the store next time! Love that! So stay tuned for the results of my husband's Colgate Two Week Challenge. We are hoping for a whiter, brighter and healthier smile and I can't to see if we get it! 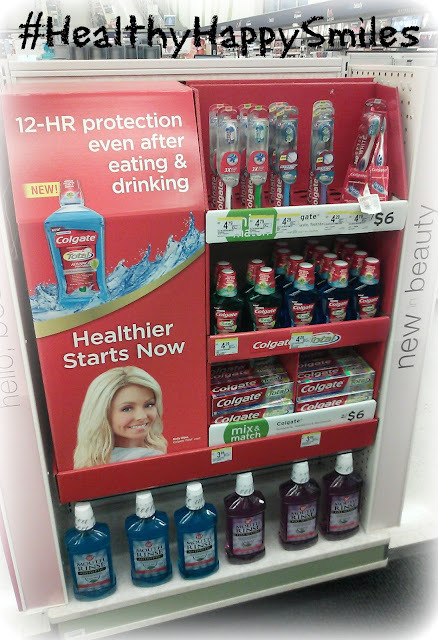 Meanwhile, stop by and get more info about Colgate Total Advanced products on their Facebook and Twitter pages!